LOS ANGELES, April 10, 2008 – Tennis Channel announced today that it will sell its Las Vegas-based men’s professional tennis tournament to the ATP, the governing body for men’s professional tennis. The network has reached an agreement with the ATP to officially sell its tournament class membership within the coming weeks. The announcement was made today by Ken Solomon, chairman and CEO, Tennis Channel. 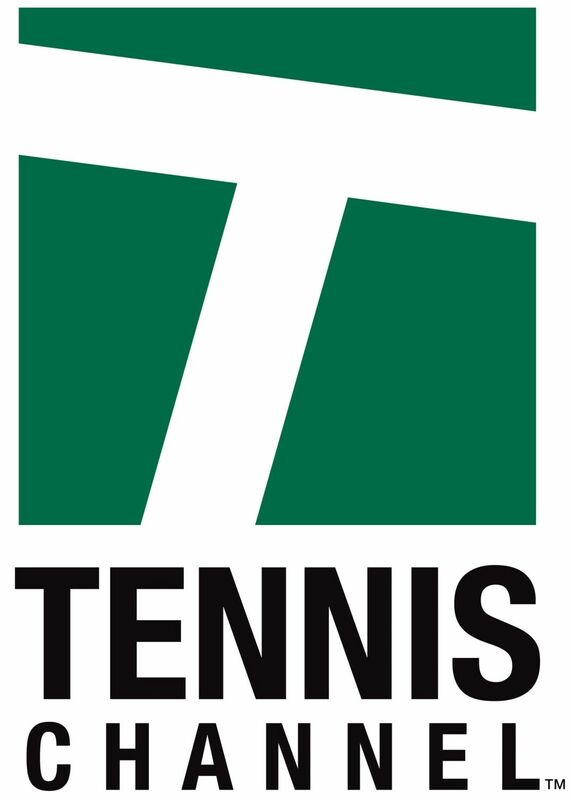 Tennis Channel’s executive team and board of directors made the decision to sell the tournament, currently named the Tennis Channel Open, to the ATP due to a combination of growth in the network’s core media business and the timing presented by a revamped pro tennis tournament schedule beginning in 2009. As it approaches its fifth anniversary in May, the network has added three Grand Slam tournaments to its lineup in less than a year. During the past three years Tennis Channel has devoted extensive multimedia attention to Las Vegas, with close to 20 original programs about one of the world’s most popular travel destinations; vast, year-round marketing efforts; and a Tennis Channel Open-dedicated Web site; in addition to more than 400 hours of match coverage. This was accentuated in January of 2008 during the network’s initial Australian Open telecast, in which the city of Las Vegas was given significant on-air exposure as one of three primary sponsors of the network’s two-week coverage of the Grand Slam. Beginning in 2009, the governing bodies of tennis will introduce a series of changes to the men’s and women’s pro tournament calendars, designed to enhance overall player and fan experience. The ATP is currently in the process of determining the future of the Las Vegas event. Tennis Channel purchased the tournament from IMG in February 2005, when it was known as the Franklin Templeton Tennis Classic in Scottsdale, Ariz. The network renamed the event Tennis Channel Open that year and relocated it to Las Vegas prior to the 2006 competition. While in Las Vegas, the tournament has became one of the most talked about stops on the ATP tour, and a venue that has hosted such players as James Blake, Lleyton Hewitt, Marat Safin, Fernando Gonzalez, Marcos Baghdatis, Gustavo Kuerten, Robbie Ginepri, Xavier Malisse, and doubles twins Bob and Mike Bryan. It also has become a place that either rejuvenates the game’s stars or unearths new ones. In 2006 the competition was a launching pad for winner Blake’s stellar summer run that concluded with the best year of his career and a No. 4 year-end ranking. In 2007 the event’s ancillary women’s competition was won by 16-year-old Caroline Wozniacki, who went on to finish the year in the top 100 rankings for the first time and subsequently reached the fourth round at this year’s Australian Open. The 2008 championship last month introduced American Sam Querrey to the championship record books, as the rising star captured the first title of his pro career. Meanwhile, local junior star Asia Muhammad offered a glimpse of American women’s tennis’ future too, by reaching the final after defeating established pros along the way. In addition to exciting players, the Las Vegas competition is known for being a developer of local talent and a festival atmosphere which, on top of men’s tennis, includes women’s and juniors tournaments, collegiate tennis, unique qualifier formats, paddle tennis, platform tennis, air hockey, foosball, table tennis, live performances, and “Fabulous Las Vegas Night,” among other entertainment activities. It is frequented by an assortment of local celebrities that includes retired greats Andre Agassi, wife Steffi Graf, and their friends and family members. This and its introduction of the city’s new Amanda & Stacy Darling Memorial Tennis Center in 2006 is credited with assisting the development of the Las Vegas tennis community during the past few years. Tennis Channel (www.tennischannel.com) is the only 24-hour, television-based multimedia destination dedicated to both the professional sport and passionate lifestyle of tennis. A hybrid of comprehensive sports, health, fitness, pop culture, entertainment, lifestyle and travel programming, the network is home to every aspect of the wide-ranging, worldwide tennis community. It also has the most concentrated single-sport coverage in television, with telecast rights to Wimbledon, Roland Garros (the French Open), the Australian Open, US Open Series, ATP Masters Series, top-tier Sony Ericsson WTA Tour championship competitions, Davis Cup and Fed Cup by BNP Paribas, and Hyundai Hopman Cup. Tennis Channel is carried by eight of the top 10 MSOs and has a national footprint via DIRECTV and DISH Network.